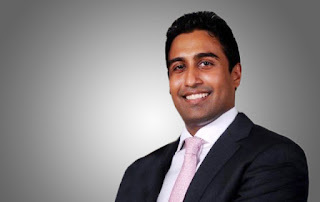 The original telephone conversations from Perpetual Treasuries Limited has revealed that Arjun Aloysius has inside, confidential and price sensitive information ahead of treasury bond deals.A phone conversation highlights Aloysius being aware of the rates and volume the Employees Provident Fund and National Savings Bank would bid at an auction. Another conversation between Arjun Aloysius and Perpetual Treasuries Limited CEO, Kasun Palisena, on the morning of the 29/3/16 auction reveals that Aloysius was aware of a meeting between all state banks where the state banks have been instructed to bid at low rates in an auction. Aloysius is heard saying a market rate hike will not take place on the day in question, even though it is the expectation of the market. In this conversation, Aloysius refers to a person as ‘friend’, who had instructed him to build a 40 billion portfolio at an auction, and another 20 billion at the next auction. Aloysius is heard giving instructions to Palisena on how to bid at the auction at high rates, and to use Pan Asia Banking Corporation to place some bids on behalf of Perpetual Treasuries Limited. Aloysius says according to his powerful friend, the more Perpetual Treasuries Limited bids at the auction, the more Perpetual Treasuries Limited would gain benefits. This was revealed when the unedited phone calls from Perpetual Treasuries Limited were played at the Presidential Commission of Inquiry to examine Nuwan Salgadu, the Chief Dealer at Perpetual Treasuries Limited.